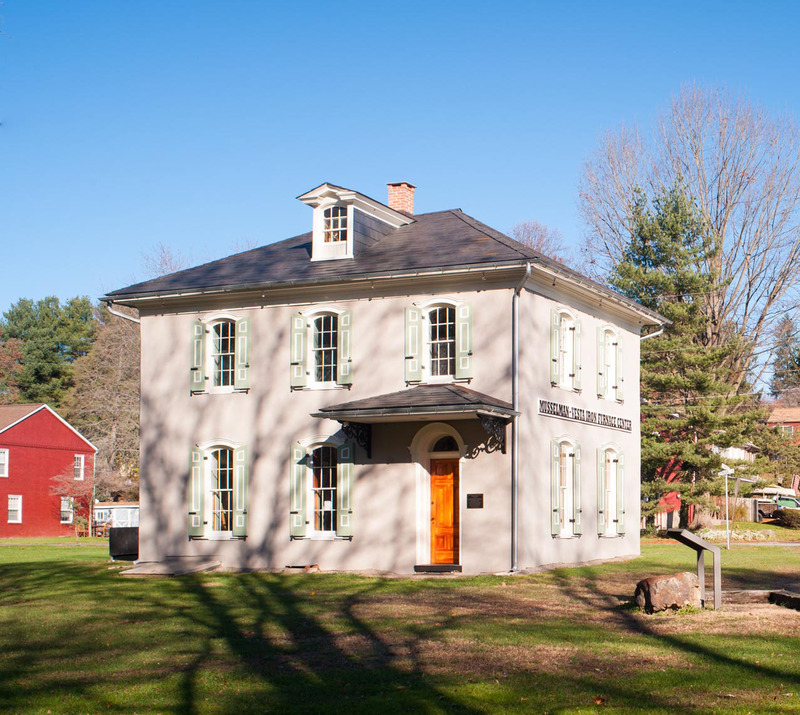 Once home to the Vesta Iron Furnace Iron, this restored historic office building now stands tall and elegant in its simplicity. When first approached, our task was to prevent further deterioration of the badly damaged property located in a Lancaster County park near the Susquehanna River in Marietta. We implemented temporary measures to control interior moisture to protect historic elements and finishes until funds for restoration and adaptive reuse were raised by Marietta Restoration Associates. 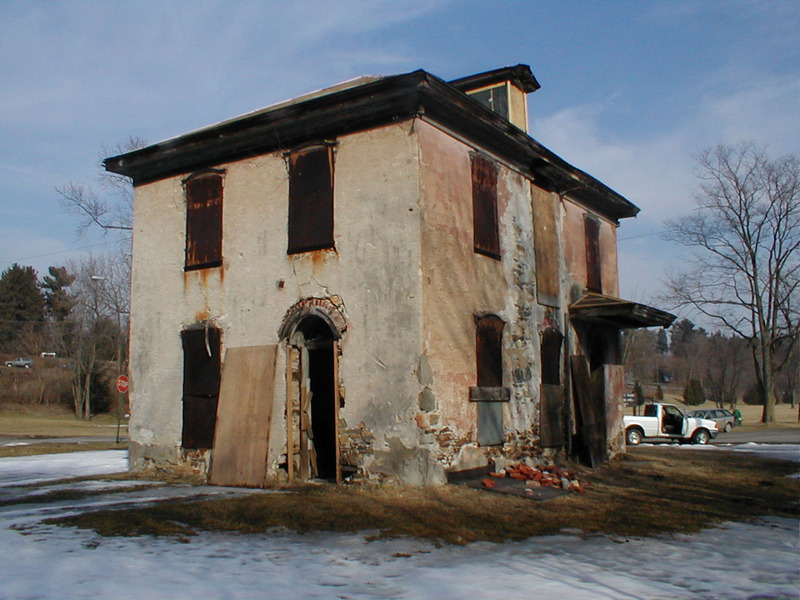 Before its transformation, the historic building, located in the flood plain near the Susquehanna River, was heavily water damaged above and below grade. Pieces of existing wood components were carefully collected and rehabilitated throughout the restoration planning and design. 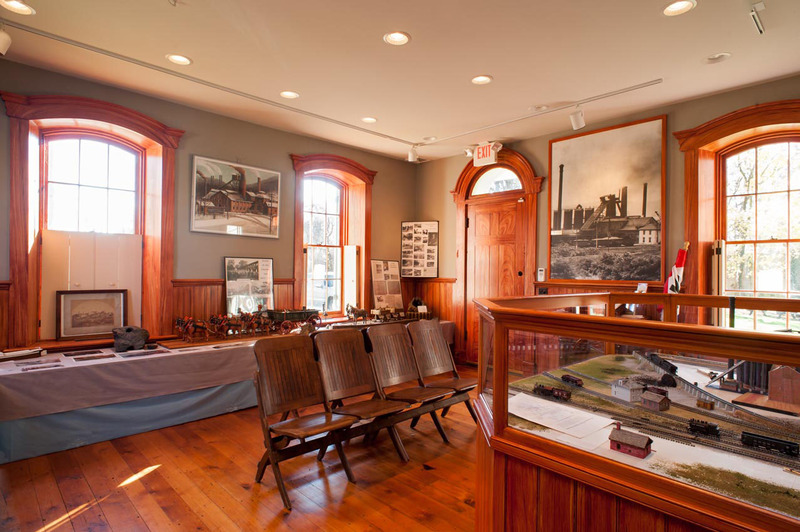 Currently used as a museum for the Musselman/Vesta Furnaces, the renovation features wainscoting, doors and wood trim using fragments recovered early in the project. HVAC units in the basement and attic avoided ductwork between floors and allowed spaces to be restored to their original appearance. 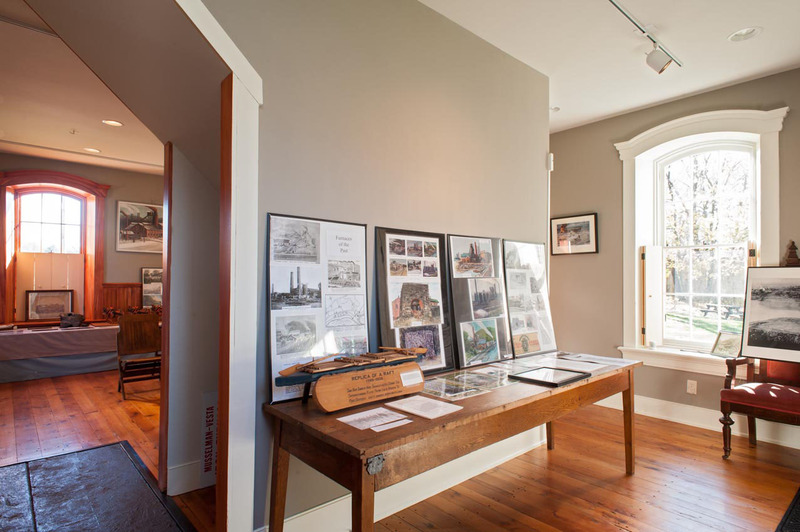 Adjacent to the main museum room, this small space features track lighting for additional museum displays and provides an enclosure for the stairway to the second floor. Original stone slabs on the floor were most likely used for the original coal stove. 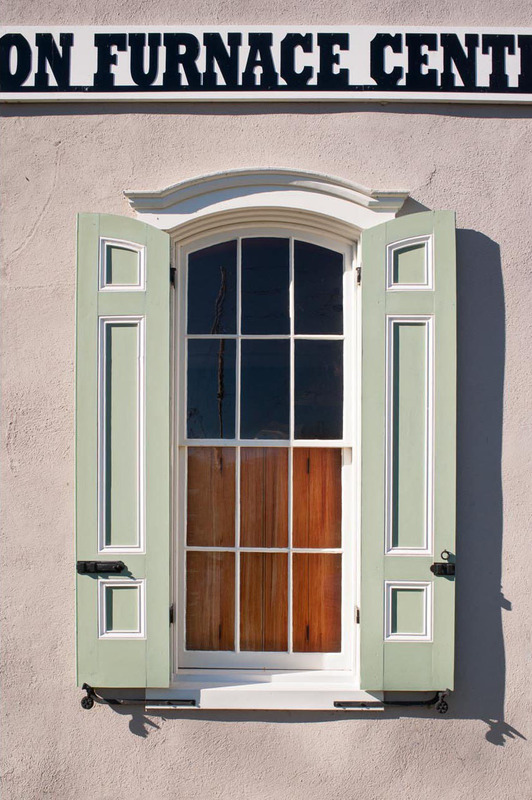 Lending charm and historic ambiance to the property, the home’s windows and shutters were all recreated from historic wood fragments salvaged during the project design. Historic etchings guided us in the reconfiguration of the window components and signage.